Jungle Red Writers: LOOKING FORWARD TO THE OLYMPICS? RHYS BOWEN: Tomorrow is the start of the winter Olympic games. Are you looking forward to it or can you give it a miss? I love all kinds of sport--I'll even watch a darts match when I'm in the UK and I'm excited to watch the Olympics, but some events more than others. I'm not madly keen on the new competitions in which people jump and twist on snowboards. Boring. And the twenty-five mile cross-country ski competition? A trifle ho-hum. I really love watching ice-skating but I find myself getting really annoyed when the US skater skates flawlessly and the Russian sits down three times and then is awarded the gold medal! So what am I looking forward to? Speed skating is exciting, so is ski jumping and downhill skiing. And ice hockey. I may even watch the curling--you know when they sweep with brooms to make a big stone go very slowly across an ice rink. I really think I could compete in that one! I enjoy watching the bob-sled and luge but the result seems so unfair. If someone wins by under one second they are champion. I'd give it a tie. And let's face it, the TV coverage is so biased toward the USA that if we lose early on in a competition it is never shown again. Hockey? What hockey? How about you, dear Reds. Are you excited? What are you planning to watch? HALLIE EPHRON: I'm impressed by anyone who can go outside and do anything in the cold. Always up for watching the figure skating, or ski jumping, or the flashier sports. I confess I won't be able to watch the luge without cracking up and remembering Lucy at... was it Bouchercon? Claiming the luge as her sport. I like speed skating, in part because it's so exciting, and in part because I goggle at the size of the skater's thighs. So much muscle! And the thing that annoys me about the broadcasts - aside from the late hours that Lucy points out - is the way they construct a narrative around a few athletes, and then their coverage becomes all about those stories. That's not sports journalism, that's reality TV. INGRID THOFT: I usually watch the opening ceremony, so I can enjoy the team uniforms. I love seeing what each country chooses to wear to represent their homeland. Frankly, I find that the American outfits are boring. I think it’s time for Ralph Laurent to pass the design baton. Perhaps to Zac Posen? I love the figure skating, and I also try to catch the ski jumping and luge. I like watching those sports because I think they’re bonkers! How do you practice them? And how do you survive?! DEBORAH CROMBIE: Oh, yes, I'll be watching! At least as much as I can manage, and as much as is available, since we cut the cord on our satellite TV. We will have NBC, but will I have to pay extra to see things that aren't broadcast on the main channel?? I've already informed the hubby that we'll be watching the opening ceremony on Friday night. I like the ski jumping, the speed skating, the snowboarding, the luge, and especially the figure skating, but I'll watch pretty much any of the sports, including curling! As Ingrid says, I'm riveting by the bonkers sports. Human nature, isn't it, wanting to watch someone else do something incredibly dangerous? HANK PHILLIPPI RYAN: I am way too competitive, I know that. But starting there. What gets me is the devotion, and the focus, and even the physical possibility, that allows these people to get to the Olympics. My sister Nina and I might be in the Olympics for Sock-skating on the hardwood hallway, but I can pretty much say I never seriously thought that no matter what I could ever do, that I could possibly be in the Olympics. Have you? The BEST, in a SPORT? Not a chance on the planet. So what does it take to do that? It's fascinating. That said. I agree it's--manipulative-- to pick one person and make them the story. I'd adore to just watch it, purely, with no backstory or jingoism. JENN McKINLAY: Olympic lover here! I watch all the games, cry with happy tears when an underdog wins (doesn't matter from which country), cheer when the American flag is hoisted, and love the human interest stories about the hosting country. I still remember the Japanese macaques (snow monkeys) soaking in the hot springs at the Nagano Olympics. Love, love, love the Olympics and the global perspective it gives humanity -- even if it's just for a few weeks. RHYS: I think the Jungle Reds should have got together a curling team, except for Lucy on luge of course! Now I'm feeling excited! Not much work will be done in the next two weeks, I fear. We always enjoy watching the Olympics and the figure skating is at the top of our must-see list. I’m sure we’ll watch the skiing and snowboarding and speed skating, but the figure skating has always been at the top of our watching list . . . .
Women's basketball in ice skates! Who wouldn't love to see that? They're adding new sports all the time - we can make this happen, people! Hehehehehehehehe! I'd definitely watch that, Julia! Jenn, our girls had a wonderful experience skating competitively for several years, but the cost of the training required for Olympic-caliber figure skating is truly prohibitive . . . . I love the Olympics! Even growing up this was one time we'd actually turn on the TV and watch it. And one of the few times we'd watch sports growing up. I'll watch just about everything, so I know what a time sink I am in for starting on Thursday. I'm off work for the first week (final week of recovery from an operation), so I know I'll get to truly indulge for part of it. Yes, I usually watch the Olympics, usually the figure skating and skiing events, and hockey, of course. Canada usually does better at Winter games than the Summer Olympics. This will be the first time trying to watch without cable TV, so I will see how many live events will be available on-line. I may watch the Olympics, depending on what else I have on offer, and I definitely prefer the winter Olympics to the summer games. What I enjoy most, however, is speculating on how each sport evolved. 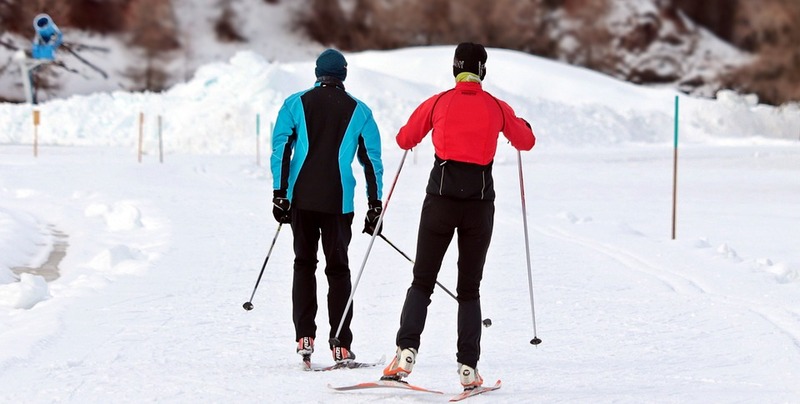 Some are just a natural: cross country skiing, makes perfect sense. It's something you have to do in snowy countries anyway, so why not see who is fastest? Other sports are just fancy embroidery on everyday stuff. I love the figure skating and ice dancing, and I can imagine people who skate for fun might want to mix it up a little, add some spins and jumps, sort of the way ballroom dancing evolved from the basic shuffle we've all done around the gym floor at one time or another. Bull-riding is another (non-Olympic) sport I suspect was developed by drunks. Nobody needs to ride a bull, but if you're all standing around the corral, bragging about your bronc busting skills, it only takes a few extra beers to get to, "Shoot, I could ride that bull!" So enjoy the Winter Olympics, the human interest stories, the pomp and drama, but feel free to come up with your own origin story for curling. I'll bet it's an interesting one. Gigi, that's a fun way to look at the games! I can assure you, coming from Key West, that bull-riding involves alcohol. And you are so right about the skeleton--going down head first? No way! I love this idea. The "Here - hold my beer" Olympics. Hank's disdain for basketball is so distressing as it is my favorite sport, having played it(badly) and coached it (decently). But I guess that's a debate for when Rhys writes about the Summer Olympics. It is unlikely that I'll watch much of the Winter Olympics. I just don't have much of an interest anymore. I used to watch it when I was younger to see various events. I suppose that I do like the skiing events and Olympic hockey is always a draw. The last time I really cared about figure skating was when Sarah Hughes stunned the world to win the gold medal. Beyond that, the winter games have become kind of a two week period of time where I catch up on my TV shows or have a bit of extra time to go out and do something else. Oh, I’m from Indiana, so we have to love basketball! I just— it’s one of those things I’d rather see in person, at the Boston Garden, of course! Well yes of course it needs to be seen at the Garden. :D Go Celtics! I kind of feel like Jay does. I used to watch the Winter Olympics but for some reason I just don't seem to care any more. For me, it helps that I've lived most of my life in a cold climate and have actually done versions of many of those sports. I skied, cross-country skied, skated, sledded and snowshoed. Maybe you have to have an underlying love of snow? Same with me, Julia. We have over 4 months of winter here so I have embraced winter sports and enjoy watching the Winter games much more than the Summer Olympics. I live near the Cape so I'm in in a cold climate a good portion of the year. But this body does not do winter sports. Unless snow shoveling becomes an Olympic event. I'm another who somewhere over the years just lost interest. You might find this amusing, though. I'm off work because of a snow emergency and so I browsed Facebook and Jungle Reds over morning coffee, with my husband at the kitchen table beside me. As I was reading the JR post, I said to him, "The Olympics must be starting soon. My Facebook feed was full of Olympics talk, and now the JR blog post is about it." Yup! You can count on social media to keep you posted! It doesn't get much screen time, but I like the biathalon, partly because there is a training center in northern Maine where world-class biathletes hone their skills. I have a friend who was in Fort Kent for work a few years ago when an international competition was taking place at the center. She described impossibly fit men and women walking around town in colorful (and tight) biathalon gear, and the generosity of local people who allowed them to board in their homes (there are not a lot of hotel rooms in Fort Kent, Maine) and the restaurant owners who modified their menus to provide visiting athlets with a little taste of "home," memorably a bakery that figured out how to make an Eastern European style of bread. So I'll be watching those sleek folk who ski and then flop to the snow and shoot with stunning accuracy, then hop up and ski some more. What a cool connection Brenda. wouldn't it be fun to meet some of them and hear their stories? I would jump at the chance. It's on my bucket list to travel up there (it's a good 6 hour drive north of Portland) sometime when a competition is going on. It hosted the World Cup two years ago. So cool! I agree, Brenda, that is a real sport. And no doubt has roots in a historic need for fitness and accuracy of those who skied and hunted for sustenance. And you have to wonder where that sport came from! Hunting, I guess? Think about it, EVERY ONE OF the athletes had to be at the very top of their game to even get chosen to compete. So much dedication and raw talent. Which reminds me anyone seen I Tonya? I wonder who will be this year's figure skating icons. Nancy and her Vera Wang outfits. Are any of the current skaters known for their outfits? Yes, she was amazing. And the outfits are fascinating--all that skin-colored illusion mesh. She was amazing. And the outfits are fascinating--all that skin-colored illusion mesh. I used to love to watch the Olympics. Such skill! Such dedication! Then it got so political in the scoring that I had two choices:1-stop[ watching or 2-break the tv! I'm fond of the Olympics, winter and summer, and I particularly like that they happen on alternate two year schedules now. Four years, like it used to be, was too long to wait. I'll watch everything that happens to be on when I am awake. It's a break from the scariness of existence in today's world. And I'll be rooting for our team and the Canadians. I'm awfully fond of Canada, keep looking north for my peace of mind. I came from a family of basketball players. My mother and her sisters were famous in their high school, and my Aunt Dot won the Women's AAU Free Throw championship is 1946, 50 of 50 shots made. Then I came along. Need I say more? Hopeless I was. If the Reds field a team in any sport, pick me last. Trust me. I am a nurse. You can do the sports medicine for the Reds curling team, Ann. That works for me. Should be easy unless someone falls off her broom. 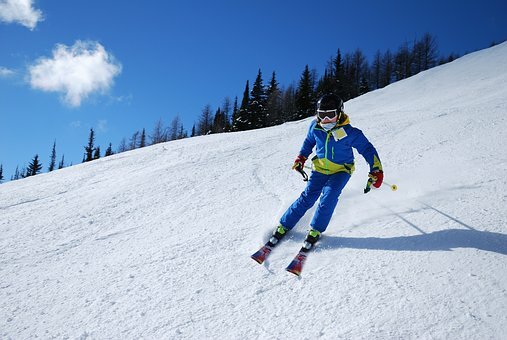 The only winter sport I've done is ice skating, so I watch the skiing and snowboarding and speed skating for pure pleasure and amazement. My daughter is there with NBC Sports for her seventh Olympics, producing feature segments for Olympic Zone. Not forgetting the Westminster Dog Show on Monday and Tuesday. Oh, the dogs show! That may supersede Olympics! Yes, the dog show will distract me from the Olympics, too! Definitely Dog Show >>> Olympics at my house. Oh, love the dog show. Maybe I can record the Olympics if there is anything I just can't miss. I'll keep tabs on the Olympics. I'm sure The Boy will be interested in the hockey (no professional players this year), as will I. I'll probably dip into the figure skating. But that's about it. We will have some of it on, I'm sure, but it's just not like it used to be, when there were fewer events. I think they overdo the hype now. My favorites of the winter sports are the pretty ones, like ice dancing and pairs. They have costumes! There's cool music! The athletes have history together! It's like a novel, with twirls and sit spins. When I was single, and owned the world's tiniest black and white TV, watching the Olympics was imperative for any kind of social success. It was the topic of conversation in the business world during the Games, and I was determined to keep up so I could have at least superficial knowledge when talking with potential clients. During the 1976 (?) Games I bought a great book, Rules of the Game, which gives the basics of 150 different sports, many of which were Olympic events. It has come in handy a million times over the years, even though so many events have gotten added to the roster of sports competitions in the Olympics. But where else can you find the rules for boules? I ask you. Now I have to keep up with events so I have something to talk about with my mother, who is an avid sports fan. And she lives with my brother, who qualifies as a walking sports fact dictionary. I am definitely the odd man out in our family. "Rules of the Game" is a great idea, Karen! I know the first rule of luge or skeleton is probably "don't die," but beyond that, I'm clueless. I imagine it makes you appreciate the event more if you actually know what's going on! That is a great idea. Wonder if it's still available? Or something similar? Someone needs to tell me the rules for these new sports where they come down a hill, do a flip, jiggle some moguls. I've no clue. Fastest time or best style? Debs, I just looked it up, and there are copies available online, both the hardback (which I have) and softcover versions. The book was published in 1974, and there doesn't appear to be an update since. It's by "The Diagram Group", published by Paddington Press, which I doubt is still in existence. The Olympics, especially the winter ones for me (love the snow), are just something that seems to have always been there, since growing up. And, it's a good part of what has always been there. As we watch the current Olympics, our minds drift back to earlier and much earlier ones we've watched and the stars of those. The ski events and the skating are spectacular to watch, all that talent, all that control. So, I will try to watch as much as I can of the events. As I said, I really enjoy the winter Olympics more than the summer, but I think that's partially due to being more indoors in the winter anyway over the years. In the summer, there's less tendency to be in front of the TV. But, it's still exciting for me when these games come around, a little thrill that this is something special. I love the Olympics! Steve and I watch everything we can and record for later if we have to miss. It's always been a huge thing in our house. Our favorite events are ice dancing. We especially like the pairs. I found it more enjoyable, however, when they showed more competition. I love seeing a larger selection and not just the top few. They are all great, and there is more suspense and rooting for favorites to advance. We like that part of it. I have two cousins who were hockey players long ago. They didn't make the final cut for the Olympics team, but it was fun cheering them on through the early parts of the process. One year one of our medical students made the swim team and did very well earning a medal. Baseball is my favorite sport but must wait until its return for the 2020 summer games in Tokyo. I'm thrilled that its return was confirmed! My personal sports were , skiing (club), basketball, and field hockey. I played from middle school on to high school then was more interested in marching band (trumpet) and orchestra (French horn). Big fan of figure skating. Now falls are an automatic deduction and the moves have points so the judging is fairer. In defense of the features, the networks have to do them ahead so have to pick the favorites. I feel sorry for the Russians who are allowed to compete since they can't have their flag and anthem. Some cheaters spoil things for all.